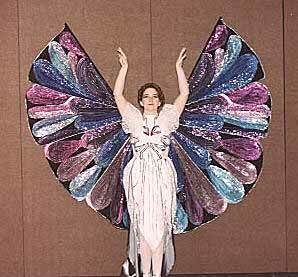 This is a nice butterfly costume. The wings are collapsable, and could be hidden behind my back. I could lock them into place in their open or closed positions. They were very heavy, made out of solid sequins, lame' and organza, and boy did they catch the wind! !